3 women who rowed 3,000 miles across the Atlantic. Challenging the everyday use of plastic and supporting the Marine Conservation Society. If we can row an ocean, can you say no to a straw? 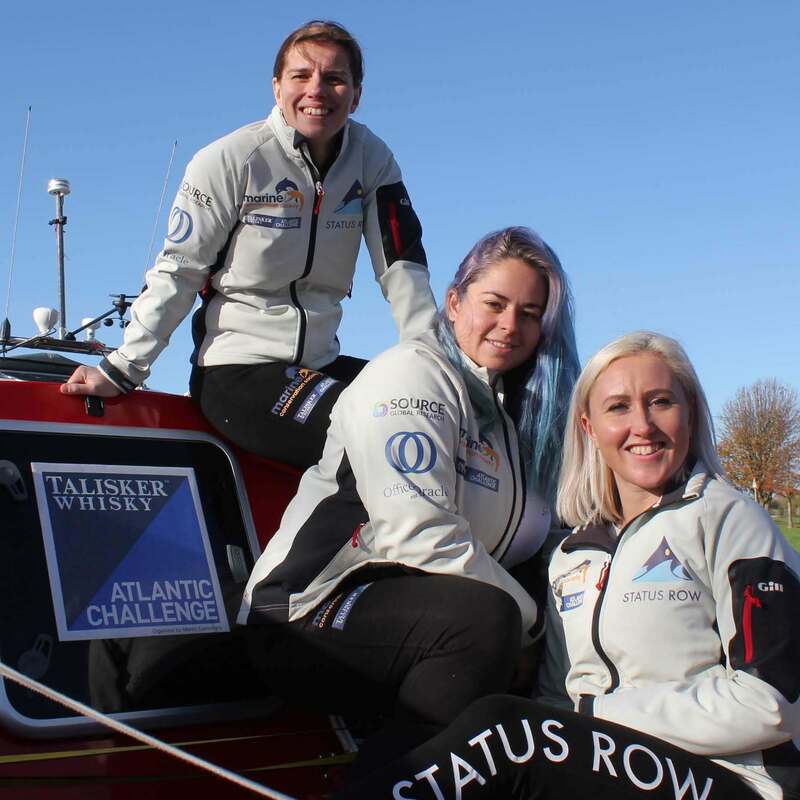 How did 3 office workers, whose biggest daily challenge is crossing London at rush hour, take on the Talisker Whisky Atlantic Challenge - The World's Toughest Row. A feat fewer people have completed than have climbed Everest? Setting out from the Canary Islands, the team rowed 3,192 miles non-stop for 61 days, 8 hours and 47 minutes, overcoming physical and mental battles to reach their finish line in Antigua. Without significant action, there may be more plastic than fish in the ocean, by weight, by 2050. Each year, at least 8 million tonnes of plastics leak into the ocean- that's the equivalent of 6,341 plastic bottles every second. Once in the ocean, it's broken down and ingested by fish and marine mammals, killing them and entering our food chain and tap water. The team are aiming to raise significant funds for the Marine Conservation Society (MCS) - the UK’s leading charity for the protection of our seas, shores and wildlife - and who is spearheading the fight against plastic pollution in the UK. We want to bridge the gap between awareness and action when it comes to plastic pollution, and spread the word to refuse, reduce, reuse and recycle. Tall, strong, athletic is the image of a typical rowing crew – think Steve Redgrave, Katherine Granger, those perfect specimens in the university boat race - well that’s not us! Team Status Row are three friends who went for a couple of beers after an indoor climbing session and realised that together we could do something amazing! Somehow it still seemed a good idea the next day.